If you are already in Acapulco it will be a real pity not paying a visit to The Largest City of Mexico, Biggest City of Our Continent and One of The Most Important Cities in the World. Visit Mexico City in company of your very own Private Driver and Chauffeur who will thoroughly show you and explain this extraordinary city for either one or two days. You will be driven either in a recent model sedan or van (depending of your numbers) through one of the safest and newest tall roads of Mexico that has been recently modernized to reach the higher standards of safety and comfort. You courteous and friendly tour guide will punctually be for you at your hotel and take you visiting the Basilica of Our Lady of Guadalupe, (originally built in the year 1666) of the very religious center of Mexico, The Mecca of the Mexicans, it is not an exaggeration saying there no Mexican that has not paid a visit to the Basilica at least once in his life. After this tour will head to the fabulous National Museum of Anthropology, the largest and most visited museum in Mexico. An astonishing building which was built to pay tribute to the admirable cultures that flourished in what today is the territory of The Mexican Republic. Do not miss this opportunity for in either one or two day get to know the most important sites of this the capital of our country. 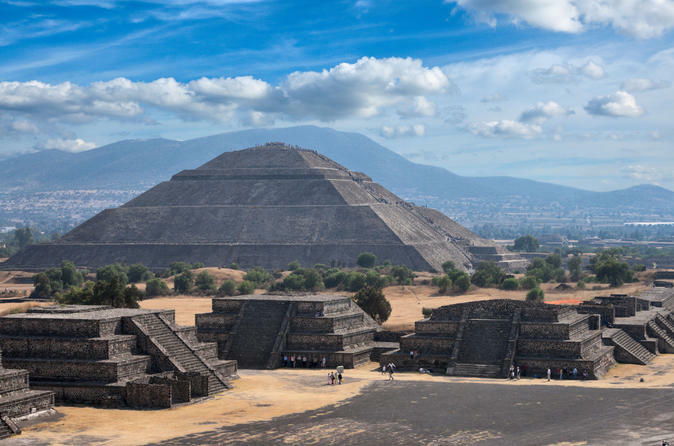 Your knowledgeable guide and driver will elaborate thoroughly about politics, economics, history, cuisine, architecture and all there is to know about our beautiful country of Mexico.